If you’re looking to liven up your lunches, this versatile sandwich maker from Tower is the one for you. Whether you fancy a classic toastie stuffed with your favourite fillings, or you want to treat yourself to a decadent waffle, this 3-in-1 model can do it all – simply switch out the plates for perfectly cooked snacks every time. And if you’ve got company, there’s enough room to make 2 portions at once. You won’t need to fiddle with any complicated heating controls either, as it automatically sets the ideal temperature for you. 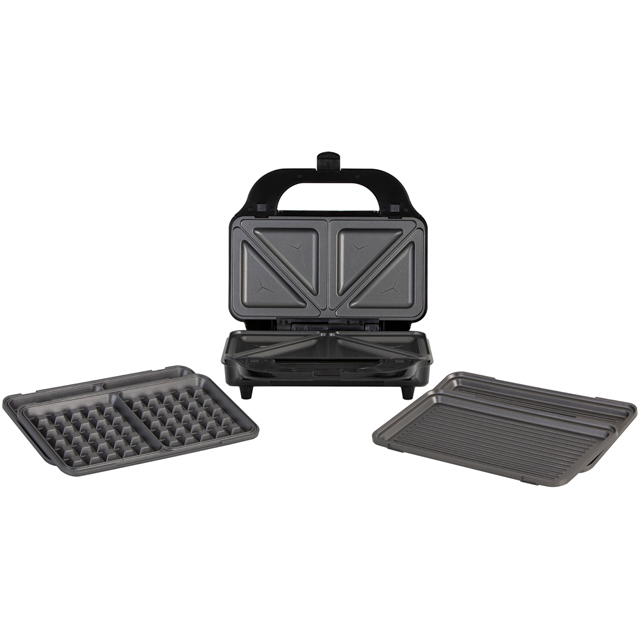 And, because it has an easy-to-clean, non-stick cooking surface, you’ll never struggle to move your food from the grill to a plate.